I purchase the GHD case for my GHD large barrel tongs but unfortunately they do not fit. Instead I am using it for my GHD straighteners which fit no problem. Wonderful, useful, practic. And at a veryy good price. I use it a lot. 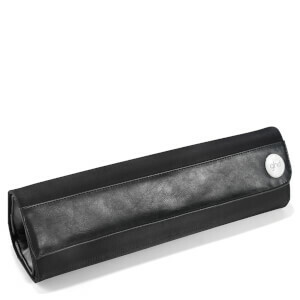 Love this GHD carry case and heat proof mat! You can bring your styler with you wherever you go and know that they are well protected. Even better is the fact that you don't have to wait for them to cool down before packing them away! The case is quite big. Very stylish carry case with detachable heat mat. However, it is very bulky & I would find difficulty fitting it into my carry-on luggage for budget airlines! Good to have a heat resistant mat to stand Styler on when hot. Styler fits into a compartment whilst the wire fits into another compartment. Very good quality.